MANILA, Philippines – University of Santo Tomas (UST) routed 10-man Adamson University, 3-0, while University of the Philippines (UP) also claimed a 3-0 triumph over University of the East (UE) to gain a share of the lead in the UAAP Season 80 men's football tournament on Thursday at the Rizal Memorial Stadium. UST and UP are level with six points on top of the table. Dexter Benecio netted a first-half brace while comebacking Steven Anotado assisted Marvin Bricenio's fourth goal of the season in the 68th minute as the Growling Tigers maintained their clean sheet in the season. Tigers coach Marjo Allado was delighted to see Anotado, who came in as a 67th minute substitute, return in the pitch after a two-year absence due to knee injury. "Happy to see him to playing again in the UAAP. Kahit hindi man siya maka-score, at least, he had chances," said Allado on his prized striker. Benecio found the back of the net in the 17th and 41st minute while Bricenio volleyed in from close range in the 68th minute for UST to put the match beyond reach. Based on their performance after two matches, the Tigers are looking good with the materials Allado has in his disposal. "It was a big win for UST. Sana magtuloy-tuloy. In the first round, kailangan kang magpondo ng points," said Allado. The Falcons went a man down after Jusue Pilarca was sent off in the first-half stoppage time. Meanwhile, King Miyagi scored twice while JB Borlongan tallied his second goal for the season for the Fighting Maroons, who dominated the match. 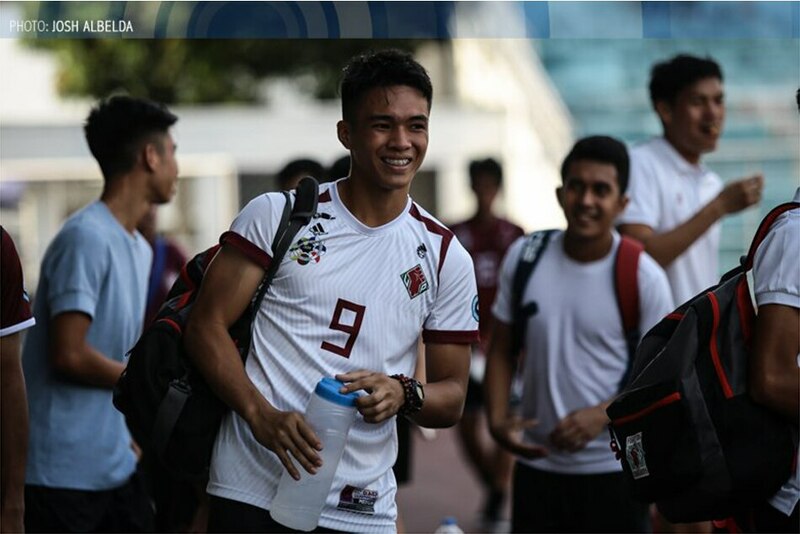 UP mentor Anto Gonzales was satisfied his troops followed up last Sunday's 1-0 win over defending champion Ateneo de Manila University. "I thought was a very disciplined performance. We stuck with the gameplan. 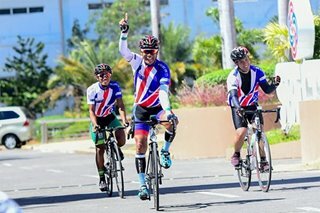 We are very patient in build-up and execution," said Gonzales.